Glogirly's letter to Jeanette, the oldest sister, was in the hands of the US Postal Service. She knew she was about to face one of the hardest parts of her search. The wait. It should come as no surprise that Glogirly made special plans for this wait. She and Gloman arranged a mini-getaway to the north shore of Minnesota. They have a favorite spot on Lake Superior that they run off to every chance they get. It was almost summer and a perfect time to squeeze in a long weekend. It was also a perfect way to get out of the house and away from the telephone. The last thing Glogirly wanted to do was stare at the phone every moment of every day, hoping it would ring. Taking in all the beauty and relaxation of the north shore, Glogirly couldn't stop thinking about the letter. Whether or not she'd hear from anyone, and if she did...what on earth would she say? To pass the time, she composed a list of questions. If she had an opportunity to talk with the oldest sister on the phone, she had to be fully prepared. She couldn't forget what she wanted to say or ask. Glogirly grouped her questions by topic, saving the hard, emotional ones for last, and left space in-between for notes. Five days later is was time to go home. Most vacations are hard to come home from. This was not the case for Glogirly. After unpacking Gloman's truck, she darted up the stairs to the kitchen and headed straight for the phone. Please let there be a blinking light on the phone. Please. Nothing. Not a single single message for five whole days. Not even a single call. What, no telemarketers even? Glogirly busied herself with unpacking, laundry, vacuuming, etc. No food in the house meant a grocery run was in order. She grabbed her car keys and headed for the garage. On her way to the store she heard a muffled beep from somewhere inside the car. Her cell phone? She must have dropped her phone the last time she was in the car. It had been hiding there under the seat the whole time she and Gloman were away up north. HOW could she have missed that? She grabbed it, still driving, and saw that there had been a call. From California. There was a message. Her heart was racing. She was breathing hard and her mouth was dry. How could she possibly listen to whatever this message held while she was driving? Where could she pull over? Traffic, traffic, traffic. She was ready to jump out of her skin. It probably took her only a minute or two to find a spot to stop. But to Glogirly it seemed like an eternity. She can't remember the street she was parked on, the weather, the time of day...everything was a blur around her. She hit play on her phone. It was Sharon Cotter. Oh my God, it was Sharon Cotter. 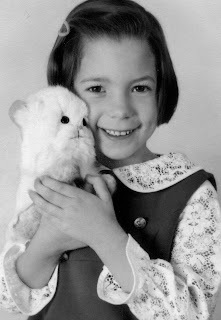 Sharon, she remembered from her search, was the oldest sister's daughter. Glogirly had figured out that the two likely lived together. She introduced herself as her cousin, Sharon Cotter. She said that she and her mom had just read the letter, and had to call right away. As her voice cracked, Sharon told Glogirly, "You are a gift to the family...there has been a hole in our family for many years that hasn't been filled until now." Sharon explained briefly how they were shocked and moved. Sharon was very careful to not diminish the importance of Glogirly's relationship with her own parents or the importance of her extended family. But she wanted Glogirly to know she was a part of their family too and that they welcomed her into the fold of their family. She was anxious to talk and asked Glogirly to call as soon as she was able. Glogirly was stunned. She had played out every possible scenario to this moment in her head. She was ready for the voice on the other end of the phone to say that she had the wrong family. Or that they preferred she not contact them. She was ready for them to not know a thing about her. She was ready for anger, hurt, pain and suspicion. Glogirly even prepared herself for nothing, silence. In her wildest dreams, she had not anticipated this. Grocery shopping could wait. Glogirly raced home, listening to the message over and over again. She carefully prepared for the call. She attached an ear-bud to the telephone handset. She poured herself a glass of water, set up the list of questions, Kleenex, extra paper and a pen. She pulled the stool up to the kitchen counter, took a seat and dialed. It rang three times. Right away Glogirly recognized Sharon's voice. She was warm, friendly and articulate. She was as curious as Glogirly. They each shared the Cliffs Notes versions of their lives. Sharon was particularly curious how Glogirly had ever found them. 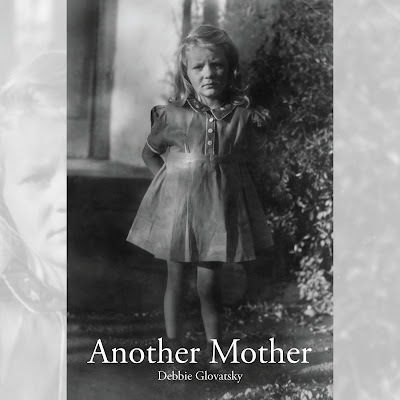 Sharon was deeply touched by the sentiments of Glogirly's letter, not only the love Glogirly expressed for her adoptive parents but also the gratitude shown for her birthmother, Alice. She spoke fondly of her Aunt Alice and shared memories of summer visits, going to the circus, and seeing Mary Poppins together. It was a special aunt and niece relationship they had. She talked about her Grandmother and her love of music and art. She was a painter and a musician. As she described her grandmother, it was almost like she was talking about Glogirly. Sharon had read the letter to her sister and brothers. She said her brothers coudln't believe Glogirly had actually written out the letter by hand. She told them it was proper etiquette and was just the right thing to do. This reminded Glogirly of something her mom would have said. Sharon was certain it would be a comfort to her mom, Jeanette, and her Aunt Dorothy, the other sister, to know that Glogirly was out there and had a good life. Glogirly wanted desperately to talk with Sharon's mom, Jeanette. Sharon explained that her mom wasn't much of a phone talker and had been pretty emotional about the whole thing. Glogirly understood. This had all come as quite a shock and probably brought back memories of what may have been a hard time. Sharon was just a few years older than Glogirly. Everything came so easy that she felt like she was talking with a sister. An hour flew by and it seemed they had not even scratched the surface. Glogirly still had so many questions and Sharon had much to tell. They scheduled a time the next day to talk more. When they hung up, Glogirly pored over the notes she'd taken, rewriting her hurried scribbles so she'd remember every detail. She prepared her questions for their next conversation. She didn't know if an invitation to visit would be forthcoming, but tried hard to keep everything in perspective. Glogirly had been unraveling the details of this family for weeks. She knew far more about them than they knew about her. Just as she needed time to process all she'd discovered, so too did her birth family. That night Glogirly thought about Sharon, her mother and grandmother. She thought about Sharon's Aunt Alice, her own birthmother. A family held together by genetics and love for one another. Glogirly knew what it was to be part of a family, to be held together by love. But the genetic factor had always been a mystery. Until now. This was the first time Glogirly had ever heard the voice of someone that shared her blood. To Sharon and her mother, Jeanette, Glogirly was a gift. 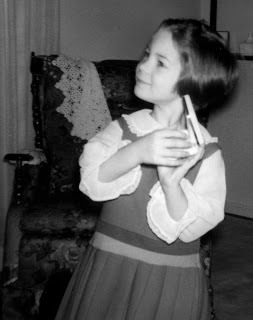 To Glogirly, the gifts had only begun. So amazing. Mum has tears in her eyes reading this. Wow, this story is getting more amazing by the chapter! We can't wait to hear more! The beauty of this story touches my heart. Whoa! Just like I'd imagined. This is just so purrfect. I know you'd written that Glogirly had visited them this year, but I wonder what the first visit was like. My goodness!!! I couldn't breathe while I was reading this post, and just felt like crying, realising both your adoptive family and your real family love you so much! OMC!!!! What an amazing response! Did you get to visit?!?! I can't wait to hear more. ps: You could turn this story into a book for publication! Oh GG this is making our eyes leak! You tell an amazing story! Where the hell is Chapter 9. *taps paws impatiently* Even I got TW to post again. C'mon Katie. This is amazing! We are just trying to catch up with everything after being locked up for a month. Mum was just going to read the first 2 chapters to start with but had to keep going. She is forcing herself to leave the computer to get dad's lunch but will be back to read more ASAP!